185 R14 C 102 /100Q TL MPS530 Sibir Snow Van MATADOR Kód: 0414080MAT0011 AKCE !!! DOPRODEJ !!! 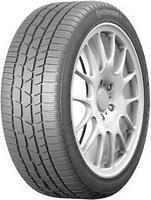 195 /60 R16 C 99 /97T TL MPS530 Sibir Snow Van MATADOR Kód: 0416060MAT0011 AKCE !!! DOPRODEJ !! !